Make Direct Energy your New York City electricity company and trusted home services provider for electricity, plumbing, electrical, and HVAC services. You already live in the greatest city in the world, shouldn't you have an energy company to match? With Direct Energy, you're choosing substance, innovation, and quality - whether you need electricity, natural gas, or home services help. 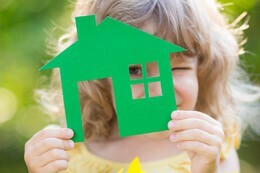 We also offer green energy plans, products for your smart home, and fixed-rate plan stability. Enjoy the security that comes from knowing your New York City electricity and natural gas rates will remain the same for your entire contract term. And with plan lengths ranging from 6 to 36 months in length, we're putting the decision in your hands! Enjoy peace of mind while Direct Energy's Home Protection Plans safeguard the systems that keep your home functioning at its best. And, when your systems are at their worst, our professional technicians are here to help. Your home is your most valued investment. When it's time for maintenance or repairs, you want the most knowledgeable and experienced professionals in New York City. We've assembled a team of highly-trained home services experts to maintain your plumbing, wiring, climate control and more. The Direct Energy Online Account Manager puts the energy information you want in the palm of your hand. Access your energy account to view plan details, learn about products, and more. When your home's essential systems go haywire, help can't wait until tomorrow. 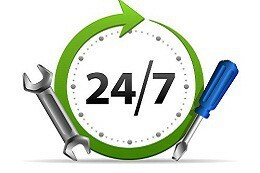 The technicians who provide Direct Energy's home services are available 24/7, so you'll never be without support. Let's Get Social, New York City! Whether your sitting on the subway or walking through Central Park, you're sure to find something you'll love on our Facebook, Twitter, Instagram, Pinterest, YouTube, or LinkedIn pages. We're bringing you the latest industry news, updates for our customers, important weather information, and helpful hints on energy efficiency. Check in for special promotions and games on our page often - there's always something fun going on. We can't wait to connect. We're honored to service the homes of the men and women in our military communities in New York City. With Direct Energy's Military Savings plans, you'll enjoy an exclusive discount on electricity and natural gas service for your home, as well as rewards every 6 months just for being a customer. It's our small way of saying thanks for your service.